Soak up some local culture and atmosphere by visiting these nearby attractions, famous meseums, histric sites and nature destinations. At this botanical garden, You can discover approximately 1700 kinds of wetland plants which grow in Japan. ※Open everyday from March 20th through November 30th. Closed in winter. 15 mins from HVC. The largest outlet mall in Japan featuring over 80 stores that offer apparel products and more. The center's souvenir shop has a variety of Owakudani and Hakone special products. Try its famous Kuro Tamago, or black eggs. \600 for 5 eggs. A demonstration of the Hakone-Zaiku Marquetry manufacturing process takes place almost everyday. 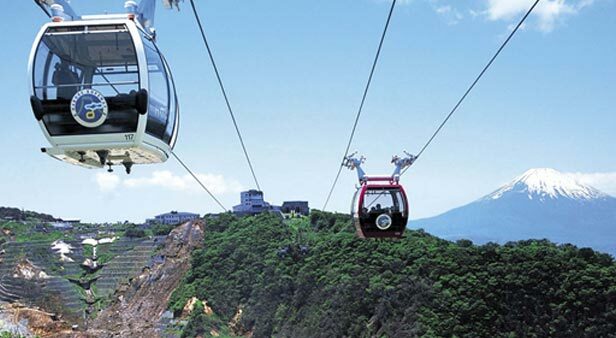 You will see magnificent panoramic views of Hakone from the summit, 1327m above sea level. Everyone will spend a wonderful time in this unique outdoor sculpture museum. ※15 mins by car from HVC. The museum houses a collection of Venetian glasswares from the 15th to the 18th century. Closed on Thursdays, 12/25?31, 1/4?8, 2nd Wednesday of every month except Jan, Feb and Aug. The museum has beautiful gardens and a collection of medieval Japanese ceramics. The museum possesses over 1500 masterpieces of modern Japanese paintings. The museum is filled with approximately 3000 classic tin toys. Founded in commemoration of the 100th anniversary of French aviator Antoine de Saint-Exupery's birth, the author of The Little Prince. The aquarium displays about 32000 fish from 450 species from all over the world. Hot springs spa resort and water amusement park.